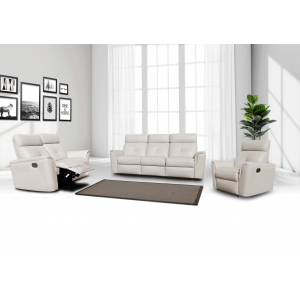 Regal meets modern in the design of this leather air living room grouping. This grouping is all about the curves with its modish curved lines, stitched details, and contemporary contrasting cappuccino color scheme. The high-gloss mahogany wood accents to give a nod to traditional design. 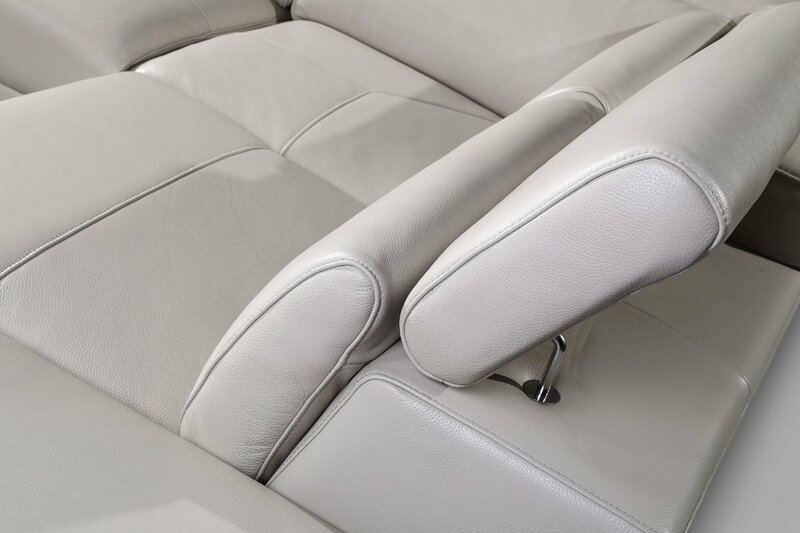 The leather air is sleek and buttery soft to the touch. 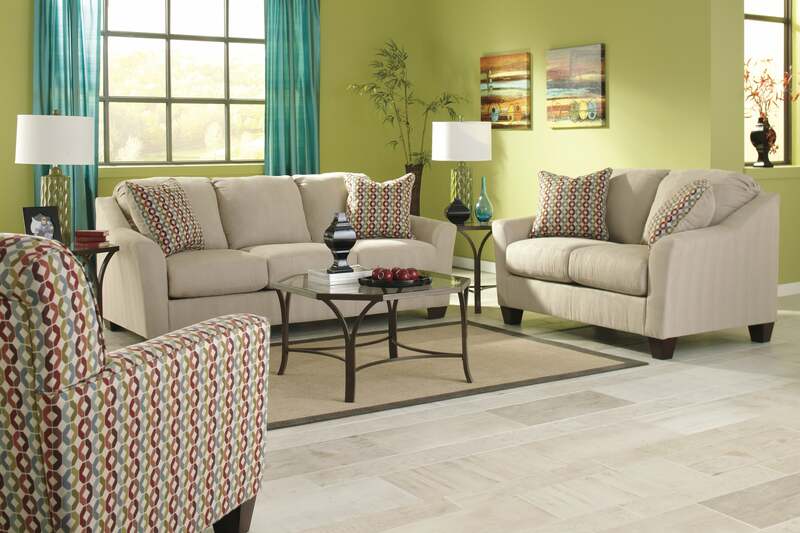 Comfort and style are two of the most important factors to consider when choosing furniture particularly a living room set. Despite how simple your room designed is if the style of the furniture you chose perfectly matches it, your living room will turn out great and comfortable. Take a look at this living room in the picture, there?s nothing significant in it except for the modern style furniture that is considered the center of attraction of the entire place. The placement of living room set makes the whole area cozy and spacious. Its modern style compliments with the design of the room and its cappuccino color blends perfectly to the wall color. 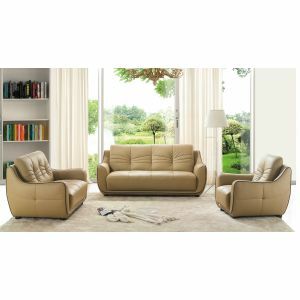 This is Living Room Set in Cappuccino Leather from Global Furniture 2033. The living room set consists of one sofa that can accommodate three persons; one love seat can accommodate two persons and a chair for one person. The arms and legs in dark cherry wood finished add more comfort to the person sitting into it. There are also three tables, one at the center and 2 at the sides. The tables are also dark cherry wood finished and top with crystal. If your living room design is simple or dull, make it look fabulous by adding a kind of living room set that is specifically designed to make a difference. 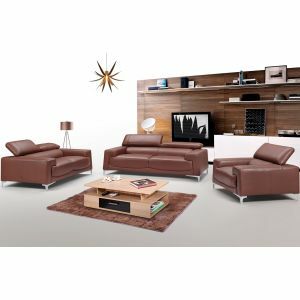 When you Shop for Global U2033 Living Room Set in Cappuccino Leather online by Furniture Store NYC, we make it as easy get information when your product will arrived. 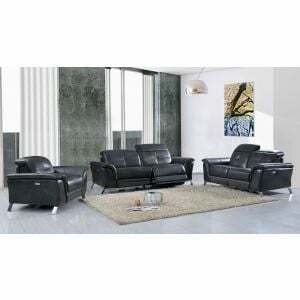 Please read customer common questions or reviews for Global U2033 Living Room Set in Cappuccino Leather If you have any questions about this product or any Sets for sale, Furniture Store NYC customer service representatives are available over the phone at 866-955-8877 or on a live chat to help. 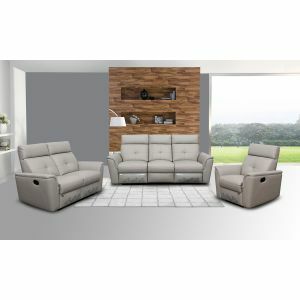 Whether you just want to purchase Global U2033 Living Room Set in Cappuccino Leather or shopping for your entire home, www.FurnitureStoreNYC.com has great selection for your home.